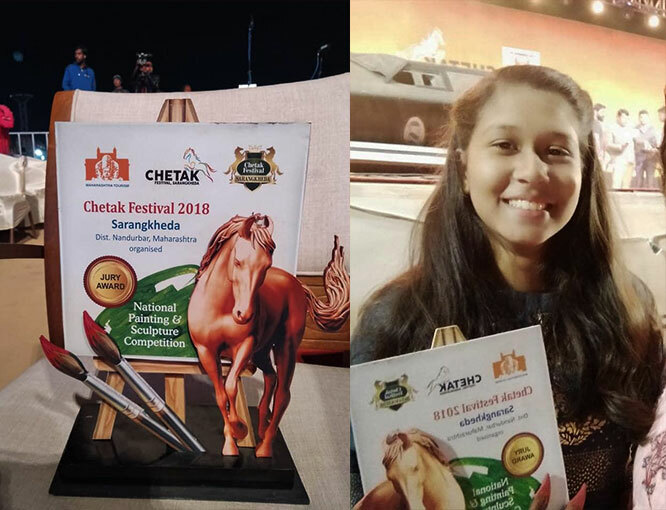 Hearty congratulations to our grade 9 student, Pooja Valotia, who has won the ‘Youngest achiever’ jury award at the national Chetak festival for her art work- horse sculpture. Proud of Pooja, her parents and our art teachers. Participated in the longest chain of roller skaters consisting of 371 participants and achieved 1st position in Shivganga Roller Skating Club (India) in Karnataka on 31st May, 2017. Participated in largest ‘Skatethon’, a combo of skating and running wherein 426 participants performed for 51 hours at Shivganga Roller skating rink starting 15:30 hours on 1st June, 2017, and ending at 18:30 hrs on 3rd June, 2017. This ‘Skatethon’ was also recorded by Global Records Certificate; Asia Book of Records and India Book of Records. 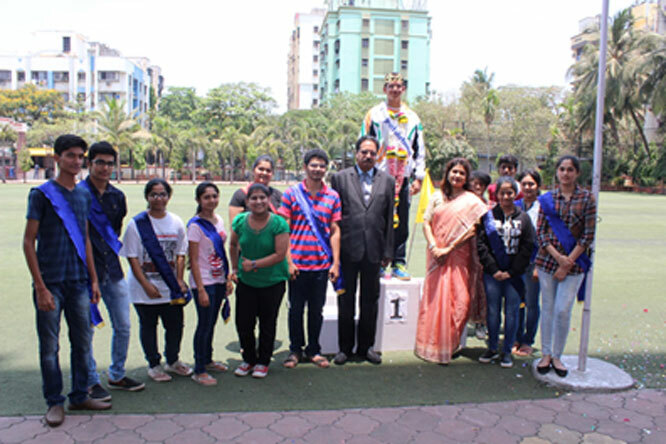 Participated in record breaking skating event for 3 hours, on 20th August, 2017, at Maharashtra Mandal Sports and Education Complex, Pune organized by ‘Skatethon’ and ‘Waveboard Sports Maharashtra association’. 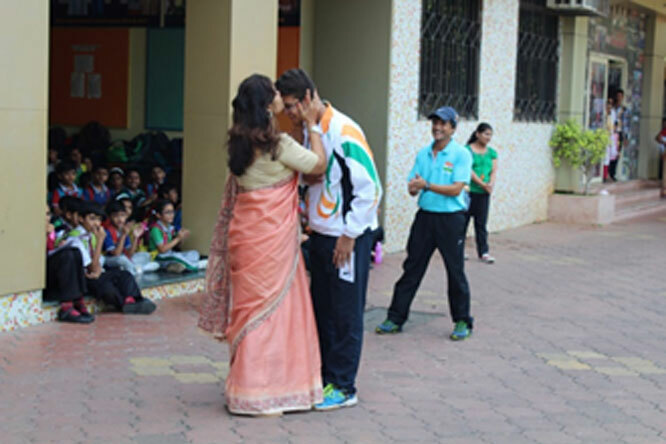 He has won a ‘World Record Medal’ for participating and winning the event. 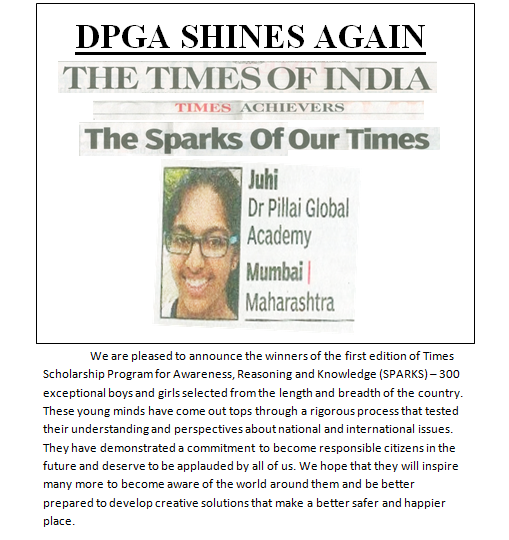 We, at DPGA are proud of you Jiyaan and we wish you all the best in your future endeavours. Participated in the record breaking skating event for three hours on 20th August, 2017 at Maharashtra Madal Sports & Education Complex, Pune organized by Skateathlon and Waveboard Sports Maharashtra Association. He has qualified for the next level, the event for which will be held on 20th October, 2017 in Karnataka. 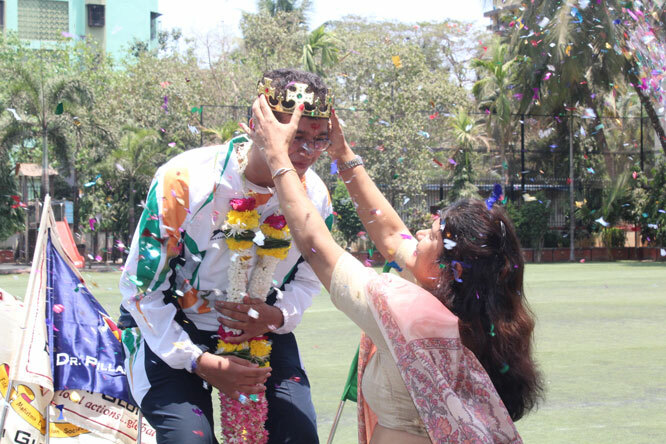 We wish him all the best & look forward to seeing him achieve the accolades. 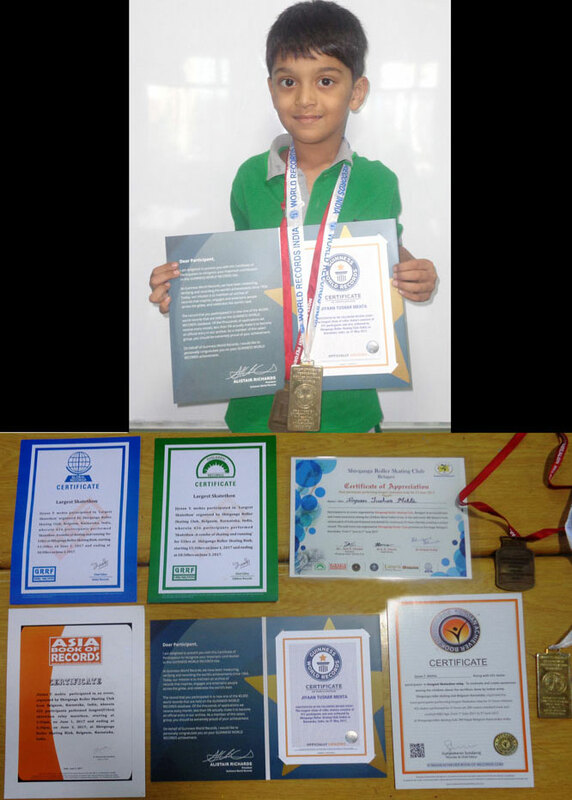 Aarav’s name is now in the “GUINNESS BOOK OF WORLD RECORDS” in the category of ‘Record breaking events’ all over the world. 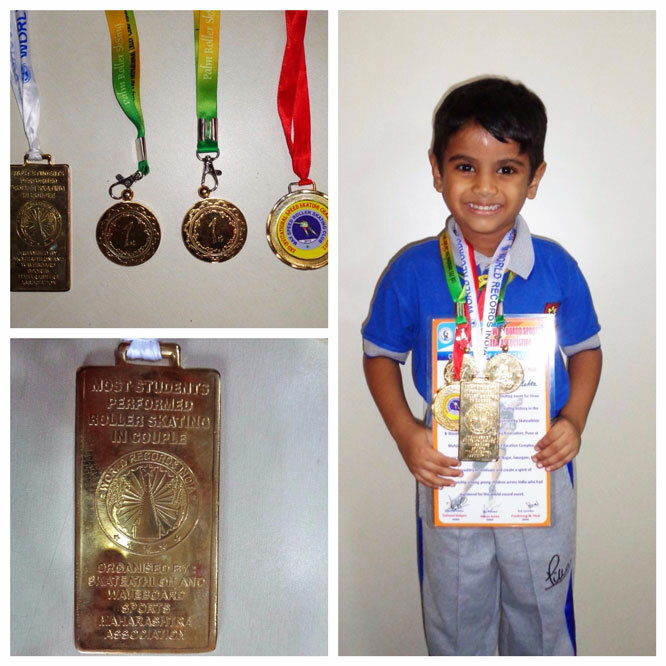 Karthik Dogi from Grade 1-D has got a distinction in grade IX International Standard of Abacus Mental Arithmetic Proficiency Exam. 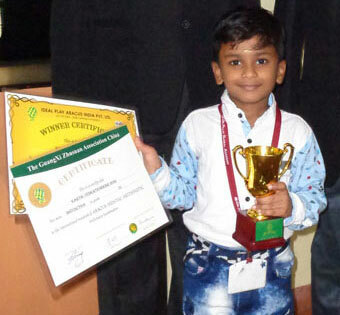 He has also bagged a place in EL 1 level in the 12th National Level Abacus and Mental Arithmetic Competition held at Bangalore on 29th January, 2017. 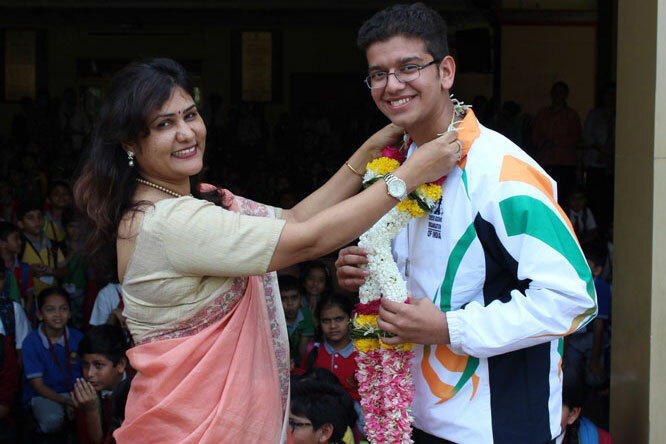 We are proud of his achievements and we wish Karthik Dogi success in all his future endeavours. 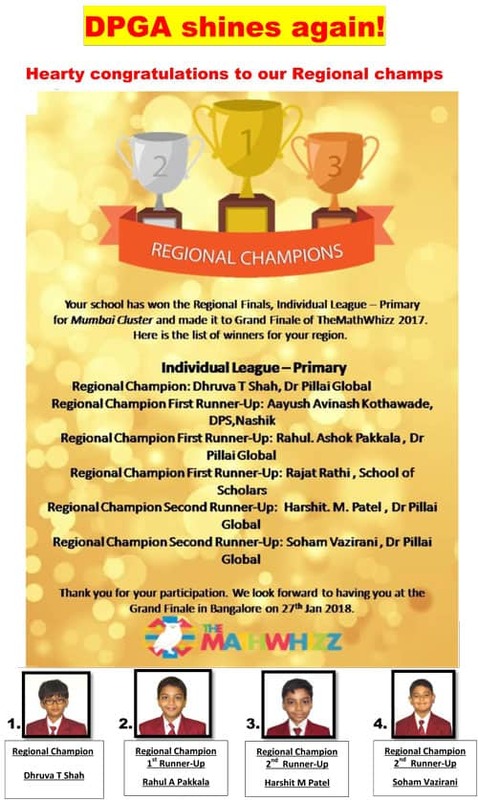 We are proud to announce the achievements of our students from Early Years Lowers, Master Hridaan Shah and Master Vihaan Shah. 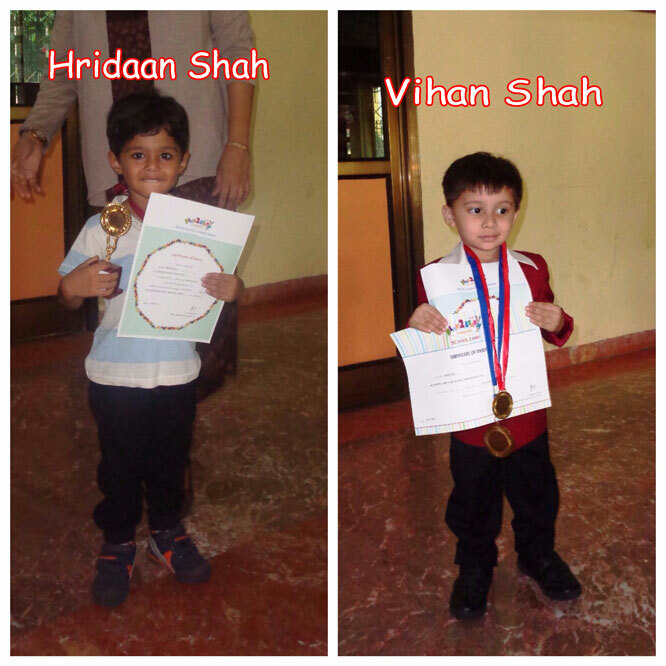 They have not only qualified at the Preschool and Inter School Championships with an ‘A’ grade, but Hridaan has also participated at the National level and was honoured with a trophy. 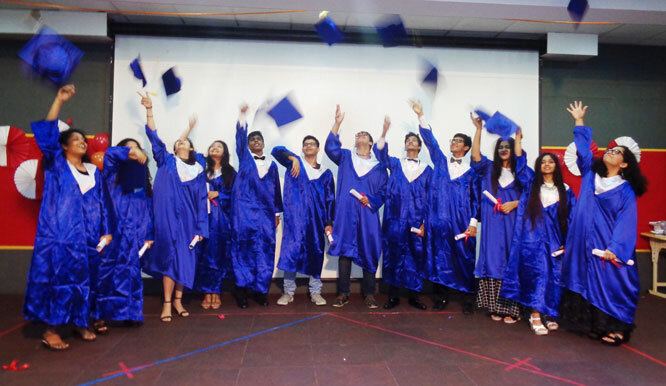 We congratulate our students and we wish them success in all their future endeavours. Ms. Anaisha Mehta from Early Years Lowers was felicitated by Dr. Sharda Sharma in school, for having won 2 medals and 1 trophy in various levels of Marrs Play2Learn Exam. 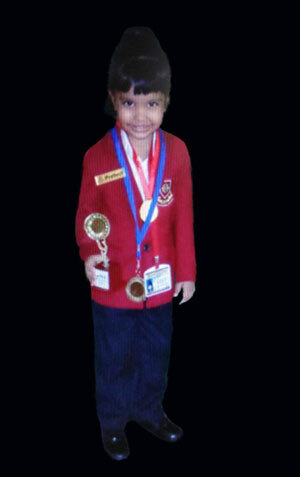 Anaisha has won 2 medals in Marrs Play2Learn exam at Playgroup Level and interschool level. It is a matter of pride that she has qualified for interstate level. Having cleared that, she has given National level prelims exam in August 2017. She has received a trophy for having reached this level. Structured in the form of exciting rounds (oral, written and activities) Play2Learn carnival gives an opportunity to be spontaneous while the child’s natural abilities are evaluated. We, at Dr. Pillai Global Academy, are proud of Anaisha and we wish her all the best as she endeavours to achieve nothing, but the best. 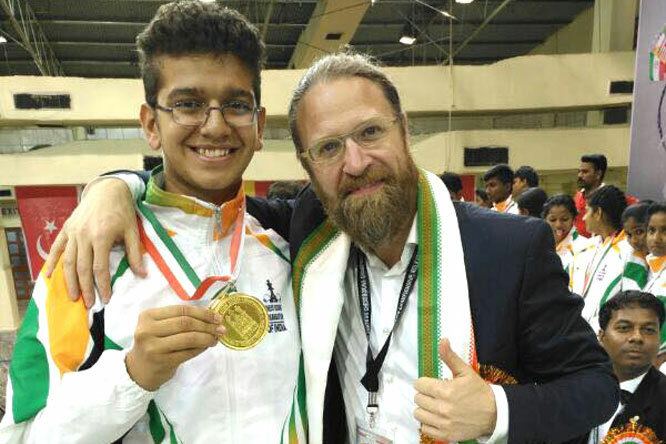 We, at DPGA – Borivali, take pride in announcing that our IBDP XI student Mr. Jeet Patel has won the International Championship in Chess Boxing against Russia in the finals. Finals – win by TKO against Russia. 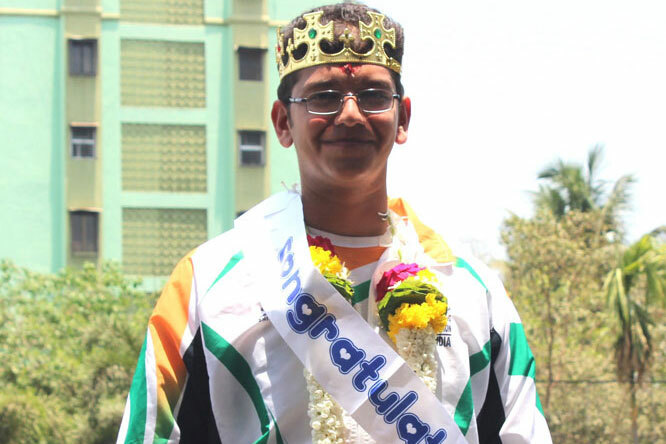 Mr. Jeet Patel has won National Championship in Boxing. Federation Cup – 2nd All India Chess Boxing Championship (2017) – representing team Maharashtra. 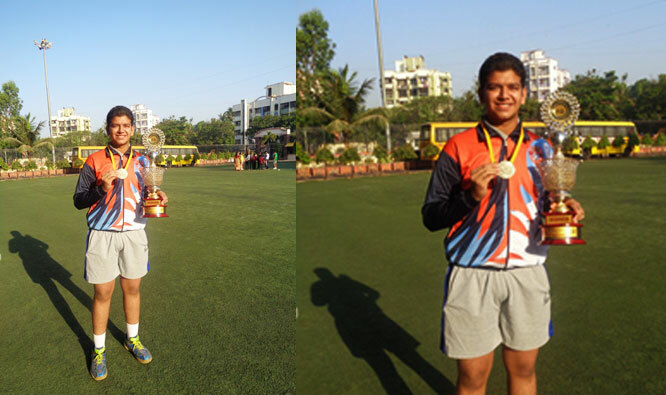 Winner (National Champion) in Junior Boys (under 17) heavyweight (85 – 90 kgs) category. 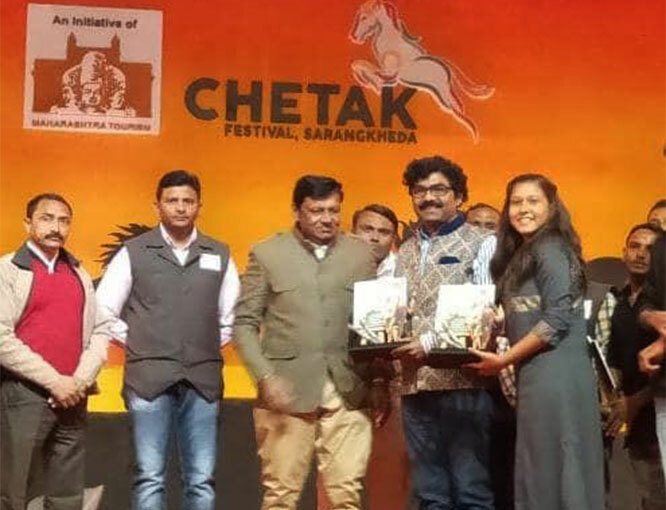 Total 9 states participated in the event. Total entry of 14 teams coming from different parts of India. Qualified for the World Chess Boxing Championship 2017 representing India; to be held in April 2017. We wish him all the best for the upcoming championship. You may send your wishes and blessings directly to Jeet on the following email address & motivate him.